ArtDriver has been recognized as one of the top WordPress development and SEO companies in Washington, DC by Clutch, an independent B2B firm which has a rigorous process in place to rank tech companies based on the results that they deliver and feedback that they receive from their clients. We always take into account our customers’ feedback at any stage of our web development process and strive for 100% customer satisfaction. ArtDriver has been recognized as one of the top 10 WordPress development and SEO companies in Washington, DC by Clutch, an independent B2B firm which has a rigorous process in place to rank tech companies based on the results that they deliver and feedback that they receive from their clients. “We are proud of being recognized as one of the best WordPress development and SEO companies. Despite having a small team, we are able to deliver relatively complex custom web development projects using an open source technology stack based on LAMP. Our Project Managers are well versed in agile software development, and we always take into account our customers’ feedback at any stage of our web development process and strive for 100% customer satisfaction,” mentions Oleksiy Synelnychenko, Founder of ArtDriver. ArtDriver LLC (http://www.artdriver.com) was founded in 2007 and has served a wide range of small to medium-sized businesses and NGOs primarily in the Washington, DC metro area. The company’s main expertise includes custom WordPress development, PHP (Symfony 2) development, responsive web design and SEO services. ArtDriver’s motto - where art meets technology, and our clients become our partners - is supported by their mission to deliver top-notch services to clients who can then represent the ArtDriver's brand. 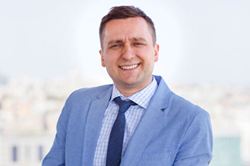 “Oleksiy and his team were extremely easy to work with and did a great job designing my website and -- through their diligent SEO efforts -- making sure prospects can find it. My questions are often answered in minutes, and assistance with any issue is freely available. Within just weeks of the new site's launch, inquiries increased noticeably, and many have turned into profitable clients. I wholeheartedly recommend ArtDriver, and plan to use them again for another business I'm involved with,” writes David Konstantin, one of the most recent clients of ArtDriver. Having received the top WordPress Developer and SEO recognition, ArtDriver will continue to provide high quality services and bring good ROI to their clients.